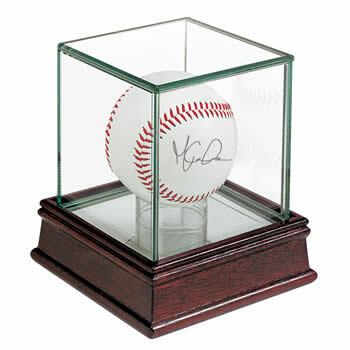 Display your autographed Pete Rose baseball. Protects your baseball by limiting damaging UV rays. Real maple wood base with glass cover.